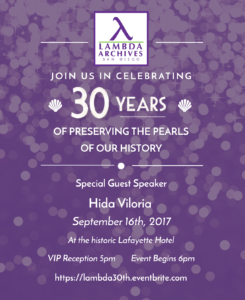 Hida Viloria | Presenting Keynote at Lambda Archives 30th Annual Gala! Presenting Keynote at Lambda Archives 30th Annual Gala! Saturday, September 16th, 2017. 6PM-8PM.